For farmers and agricultural business owners, soil sampling is beneficial in many ways. The biggest benefit of analysing the soil is that it allows you to learn exactly what’s in your soil. A good metaphor for your soil is a bank account. 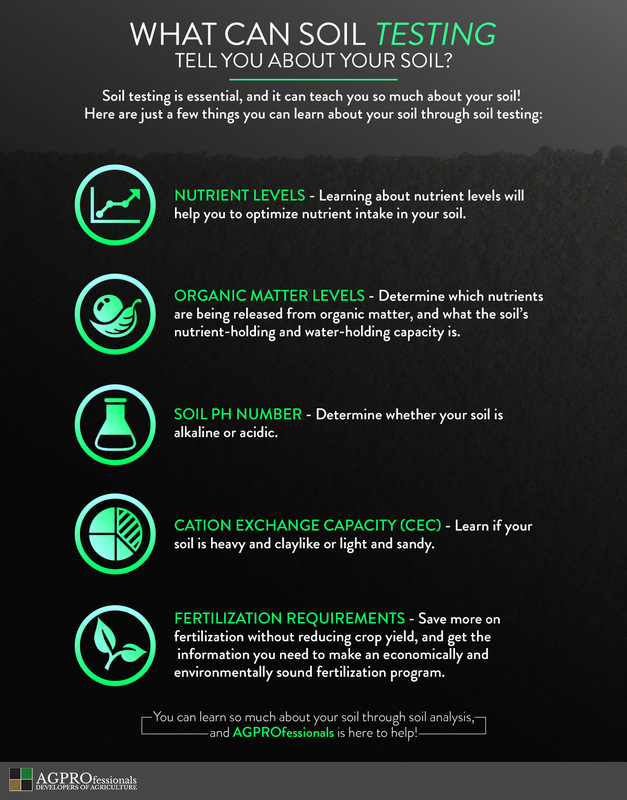 Before you know exactly how many nutrients you can safely pull out from your soil, you first need to understand what the current nutrient levels are, just like you would when you pull money out of your bank account. You also need to know which nutrients need to be reintroduced back into the soil. Another important thing to look for in a soil test is the organic matter in the soil. The organic matter in the soil releases nutrients and aids in its nutrient-holding and water-holding capacity. Additionally, through mineralization, organic matter can release nutrients back into the soil. Soil tests can reveal what your soil’s pH number is. The pH number is what tells you if your soil is more acidic or more alkaline. This is incredibly important for many different reasons, but the most important reason to test for pH levels is to determine which nutrients will be most available to your crops. For example, in soil with a higher pH number, like a 7.9, phosphorus won’t be as available to the roots of crops as it would in a soil with a lower pH level, like 6.8. The CEC is the industry’s way of determining if soil is light or sandy soil or heavy or clay soil. There are many reasons as to why this is important, but the biggest is that it helps to determine the amounts of seed-placed fertilizer necessary. If you have a lighter soil, you won’t be able to use as much fertilizer with the seed safely than you would with a heavier soil. Soil testing is an essential part of planning a fertilization program that’s effective, as well as environmentally and economically sound. Learning about the nutrient levels in the soil will help you determine a more efficient strategy for the use of nutrients, which can help you to reduce the costs of fertilization without hurting your yield. Getting your soil sampled and analyzed is important for so many reasons, and if you’ve found that you don’t have the time or resources to do it yourself, you need to find the right company who can help. 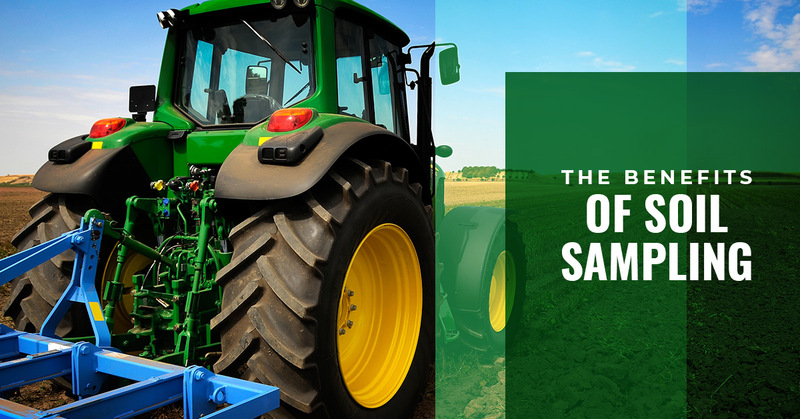 The good news is that with AGPROfessionals on your side, you’ll have all of your agricultural development needs met by just one company. Visit us online to learn more and contact us to schedule soil testing in Greeley.